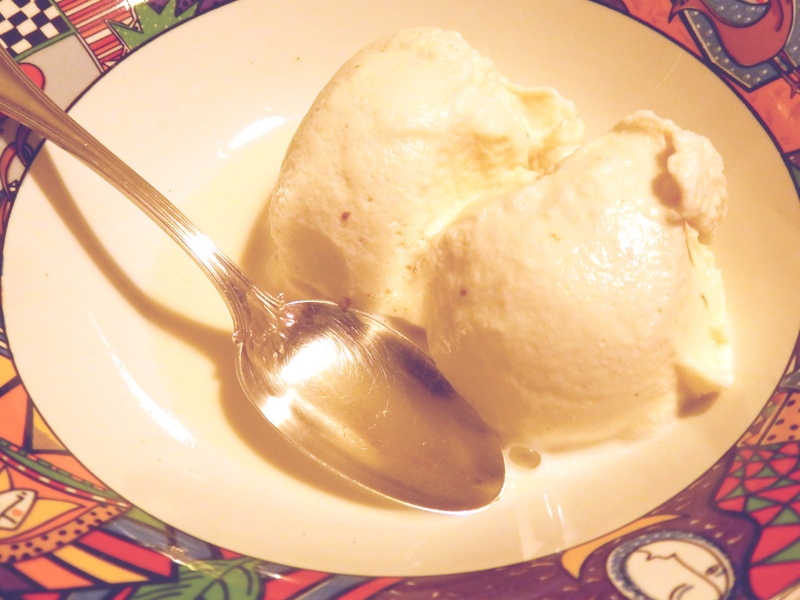 Candy Cap Ice Cream – That’s mushroom ice cream to you and me. Ever had ice cream made from mushrooms? Besides maybe that trip to Santa Cruz in 1982. These are 100% non-hallucinogenic, sorry to disappoint those of you who clicked through hoping for something else. However, the flavor of this ice cream may send you into throes of ecstasy. 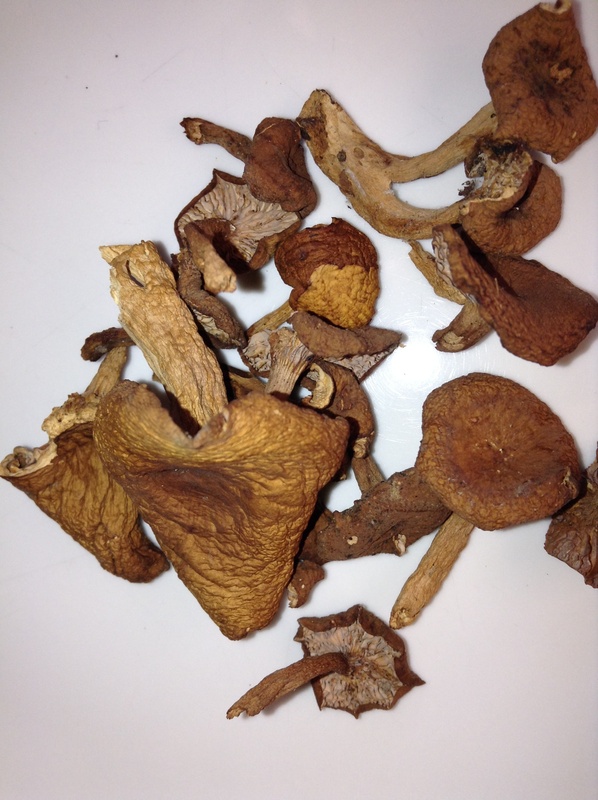 So candy cap mushrooms, otherwise known as Lactarius rubidus and Lactarius rufulus, are mushrooms which grow in Santa Cruz around December and January and smell just like maple syrup. They can be hard to find if you have red/green color blindness because of their reddish color and they have several lookalikes, so you better do your research before you go a’hunting! When they’re fresh their smell is not as powerful, but as they dry their aroma intensifies and it’s the dried ones which are used most often to flavor desserts – either crushed up into a powder or steeped to impart their flavor on bases for ice creams, panna cottas, custards, you name it! Candy caps are also really good in savory dishes, especially paired with smoked meat. Obviously bacon and maple syrup are a common match, so these with ham, bacon or pancetta are excellent just sautéed in a little butter. They were also really good with salmon and bok choy which you can read about in Part 2 of my Piacere post. They are really versatile and have a terrific flavor. If you can find some dried ones, you should definitely try this ice cream. 1. 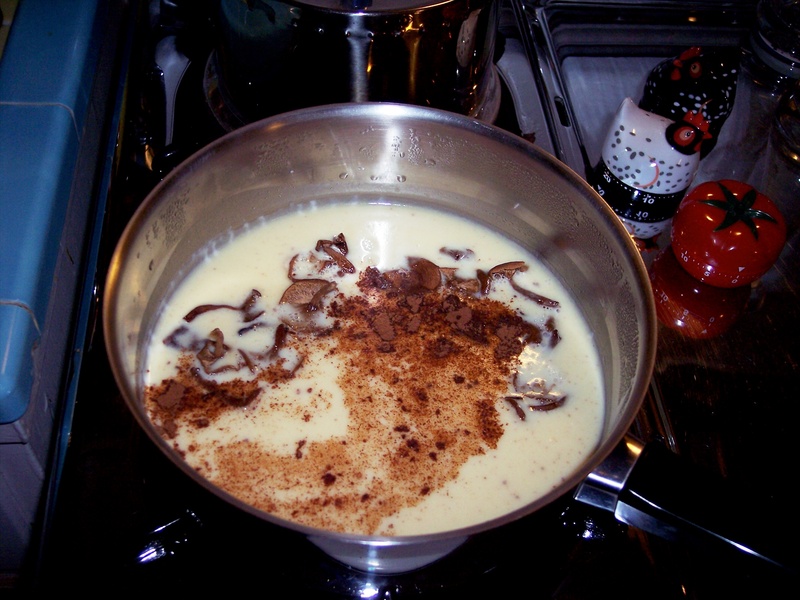 Put half and half (or milk and cream) in a saucepan over medium-low heat and bring up to a low simmer. 2. Add dried mushrooms, honey and cinnamon. 3. Turn off the heat, place the lid on the saucepan and let the mixture steep for 45 minutes-1 hour. 5. 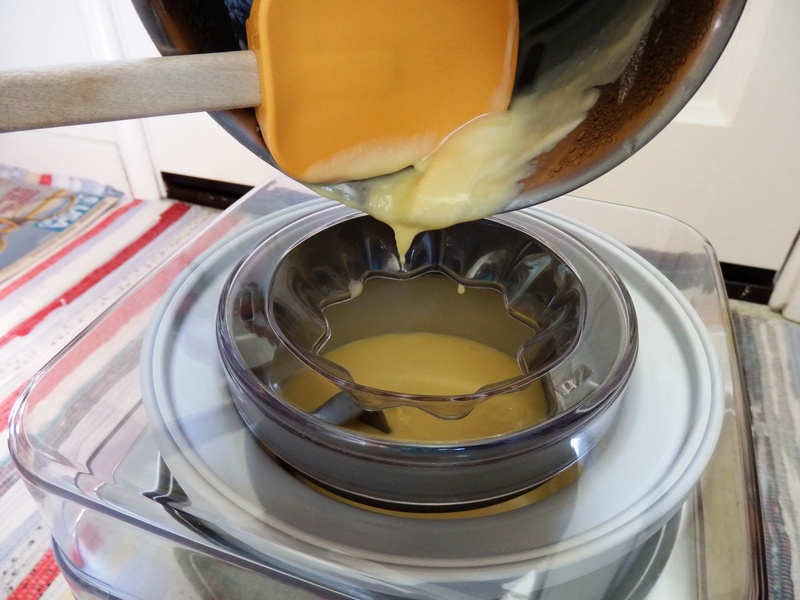 Pour the mixture into an ice cream machine and follow machine instructions. 5. Whisk together 4 egg yolks and 1/2 cup of sugar. 6. Bring the cream mixture back up to temperature (170ºF). 7. Whisk 1/2 cup of hot mixture into the eggs yolks until incorporated. Then add another 1/2 cup hot mixture to egg yolks and whisk to combine. 8. Pour egg yolk mixture back into saucepan and stir constantly for about 5 minutes. Don’t let the mixture go above 170ºF. 9. When the mixture can coat the back of a spoon, take it off the heat and chill it either in an ice bath or in the refrigerator overnight. 10. Pour the mixture (you could sieve it first in case there are any scrambled eggs!) into an ice cream machine & follow the machine instructions.